So it appears that Apple is interested in creating gestures for devices like the Mac, iPad, and iPhone that allow a user to remotely control and edit video recordings. This is an interesting design feature and was discovered in a recent patent application by Apple themselves. 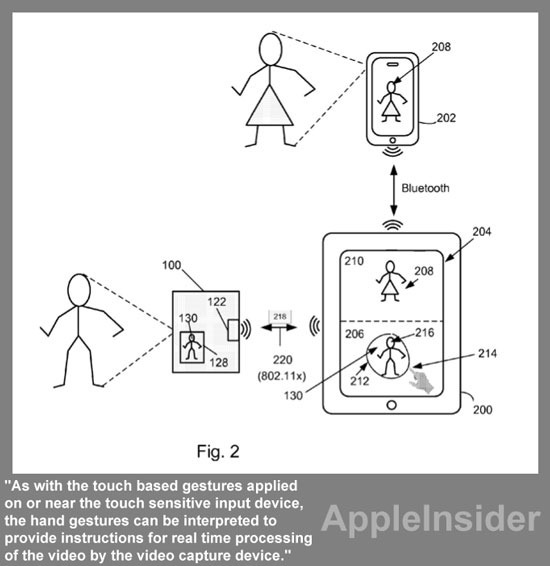 The U.S. Patent and Trademark Office revealed a new patent application, that was filed in April of 2010, shows users editing real time video via touch or non-touch input gestures. What Apple is attempting to do here is two fold; one, they want to minimize shaking in the recording device so they are allowing two devices to pair to one-another via Bluetooth or other optical or infrared input, so you can have an iPhone recording video, transmitting over Bluetooth to an iPad, and from the iPad you are editing the video in real-time. 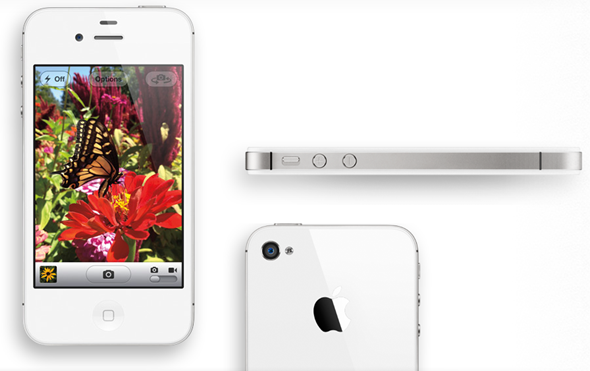 Second, you can use non-touch input gestures to to manipulate the recording on a device. What that means is Apple could detect facial expressions or motions in sports and zoom in or frame the action accordingly. This reduces the probability of movement from touching the screen of the device during recording. Personally, I like the idea as long as it has an on and an off switch. With the size of today’s iPhone, and not knowing the size of the next, it doesn’t leave a lot of room for manipulating video during the recording. It also doesn’t provide a great sense of stability. With that said, you could hold your device using both hands and allow the software to take control. In turn, this provides creativity and production-like framing in your video. Its almost like you have your own film crew in your hand and all you have to do is point the camera. At the same time, this could also go horribly wrong if not designed properly. Although, I doubt Apple would allow that to happen, but could you imagine incorrect framing on the wrong subject? I would hate to lose all control over my camera and miss out on capturing anything at all. So keep your eyes peeled and we will report once we get more information on the exact use of this patent and when or where it will be put to use.